Since 1956 the Texas Auctioneers Association, Inc. has been actively promoting and enhancing the Auction Method of Marketing through, education, public relations and information sharing. In 1956 TAA held it’s first organizational meeting in Dallas, Texas, twenty-eight auctioneers were present. In 1957 TAA held it’s Charter meeting in Austin, Texas, and W. J. “Bill” Wendlin was elected as the association’s first president. In 1977 TAA was Incorporated to Texas Auctioneers Association, Inc. The TAA Articles of Incorporation and Bylaws are the rules by which the association operates. The TAA Code of Ethics are the ethical guidelines that as a result of membership members agree to abide by. Whereas, it is necessary, in order to fit ourselves for the responsibility of Auctioneers, to cultivate the spirit of co-operation, improve our profession and protect the interest of the auctioneer, to protect the public against unscrupulous practices; therefore, we do constitute ourselves the Texas Auctioneers Association. The auction business is said to be the medium through which the lifeblood of the nation attains greater momentum and brings to the nation greater balance, prosperity and stability. It chases the ghost out of the ghost town. It brings hope, confidence and joy to individuals and communities. It turns the loss of unsold business into profits for both the seller and buyer. The auctioneer should hold aloft the dignity and importance of the nation of his profession. He should never loose sight of his personal and professional integrity, his responsibility and his sense of patriotism. The Auctioneer realizes that his profession is both competitive and co-operative and that he shares with others a common responsibility for its honor and that by being true to himself, he is true to all men. With these principles ever before him, the Auctioneer pledges himself to their observation and to conduct his business in conformity to the following Code of Ethics adopted by the Texas Auctioneers Association. strong>Article 1. In the best interest of the public, of his fellow auctioneers and his own business, the Auctioneer should be loyal to the Texas Auctioneers Association. Article 2. The Auctioneer should so conduct his business as to avoid disputes with fellow Auctioneers, but in the event of a controversy between two Auctioneers who are members of the Texas Auctioneers Association, he should not resort to a law suit, but submit his differences to arbitration by the Texas Auctioneers Association, and the decision of such arbitration should be accepted as final and binding. If the dispute should be with a non-member, he should offer the services of this board to arbitrate. Article 3. Where a member is charged with unethical practices, he should promptly and voluntarily place all pertinent facts before the proper committee for investigation and report. Article 4. A member should never publicly criticize a competitor, and where an opinion is specially requested it should be rendered in conformity with strict professional courtesy and dignity. Article 5. In the best interest of society, of his associates, and of his own business, the Auctioneer should at all times be loyal to the Texas Auctioneers Association and active in its work; and he should willingly share with his fellow-members the lessons of his experience. strong>Article 6. In justice to those who place their interests in his hands, the Auctioneer should endeavor to keep abreast of business conditions, to keep informed in matters of law and proposed legislation affecting such interests, so as to give intelligent business advice and effective service. Article 7. In accepting the auction of real or personal property, the member pledges himself to be fair to both seller and buyer, and to protect the owner’s interest as he would his own. Article 8. When consulting for an appraisal of value or liquidations problem, a member should give a well considered opinion, reflecting expert knowledge and sound judgment, taking requisite time for study, inquiring and deliberation. His counsel represents a professional service, which he should render in writing and for which he should make a reasonable charge. A member should not undertake to give an appraisal or offer an opinion on any proposition on which he has a direct interest, without a full disclosure of such interest. Article 9. Before accepting a sale it is the duty of the Auctioneer to advise the owner intelligently and honestly regarding the market value of the business or proposition and the reasonable chance of selling at value or above. strong>Article 10. It is the duty of every member to protect the public against fraud, misrepresentation or unethical practices in connection with the auction, disposal or liquidation of any real or personal property the Auctioneer is upon to disclose of at public auction. Article 11. It is the duty of a member to ascertain all pertinent facts concerning every auction for which he is engaged, so that in offering he may avoid error, exaggeration and misrepresentation. Article 12. An Auctioneer is a confidential trustee of the information given by the seller or gained by him through relationship, and the Auctioneer must never disclose the gross receipts of an auction or any information that would tend to be a violation of the profession. Article 13. No special conditions real or assumed, or inducements or directions from anyone relieve the member from his responsibility strictly to observe the Code of Ethics in letter and spirit. Please visit the following Texas Department of Licensing and Regulation sites for complete information on auctioneer license and exam. TAA has designed these resources pages in an effort to keep members and non-members, updated on the latest industry developments at the regulatory and legislative level. Please visit the Texas Department of Licensing and Regulation to view the rules and regulations that govern Texas licensed auctioneers. http://www.license.state.tx.us How can I get involved and keep informed? If you would like to follow, and be involved in, TDLR’s rule implementing process, you can do so by accessing https://www.tdlr.texas.gov/auc/studyGuide2013.pdf or https://www.tdlr.texas.gov/auc/aucrules.htm and signing up for the email notification system. TDLR has posted information on new legislation which affects the Department’s program and functions. Please encourage others who are interested in our programs to sign up for our email message notification system, http://www.license.state.tx.us/newsletters/TDLRnotificationLists.asp. Click on the following documents for new information from TDLR. Listed below are probably the most violated laws and rules. However, please note that there are a couple of items listed that have to do with the overall knowledge of the auction business. Advertising violations (covers entire spectrum from false, deceptive, and misleading ads to omitting name and license number in ads and license number in Yellow Pages ads. Failure to report to TDLR changes in address within 30 days. Bid calling for an auction company not owned or operated by a Texas Licensed Auctioneer. Failure to post TDLR notice requirements at auctions. Failure to include TDLR notice information on Consignor/Seller contracts. Failure to include information about the TDLR’s Education and Recovery Fund in opening statements at an auction or on notice form. Failing to pay consignors/sellers and/or account for property sold at auction. Failure to pay State Sales Tax in a timely manner. Failure to announce/post the amount of a Buyer’s Premium (if any) in ads and/or at the auction. Failure to know exemptions from laws/rules indicating a lack of overall knowledge of other laws/rules affecting items sold at auction. Failure to know and understand Texas Auctioneer Law and rules, which is only a small part of the knowledge, required to operate a business within all applicable State/Federal laws and rules. 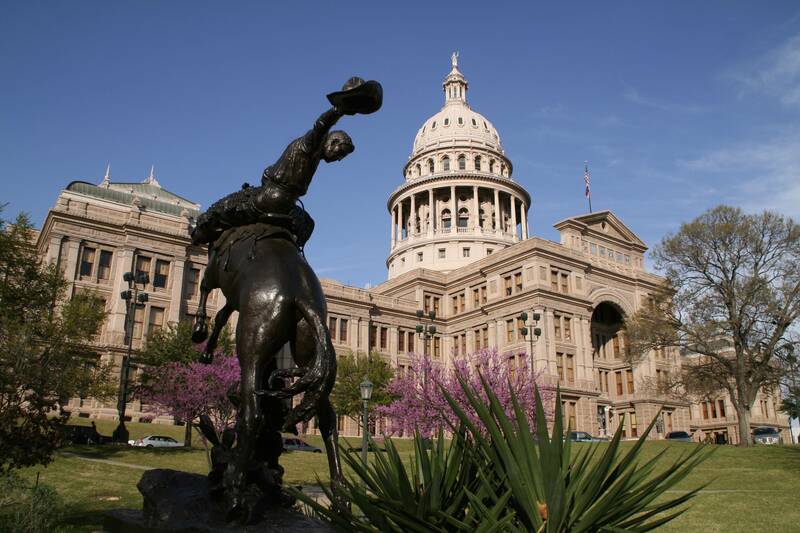 Failure to keep required records for the period of time required by Texas Auction Law. Failure to renew a Texas Auctioneer License in a timely manner, and then trying to get out of re-taking the examination. Bid calling during the 30-day period when the Texas Auctioneer License is invalid due to failure to renew on time. A Texas Licensed Auctioneer allowing an unlicensed person to bid call. Texas Occupations Code, Chapter 1802, Auctioneers. Title 16, Texas Administrative Code, Chapter 67, Auctioneers Administrative Rules. Other laws and rules that regulate the conduct of auctioneers and associate auctioneers. Auction-related laws, such as the Uniform Commercial Code – Sales, Title 1, Chapter 2, Texas Business and Commerce Code §2.328 and the Deceptive Trade Practices-Consumer Protection Act, Chapter 17, Subchapter E, Texas Business and Commerce Code. Continuing education courses must be completed within the term of the license being renewed. For example, if a license expires on June 15, 2006, the continuing education courses taken to renew that license must have been taken between June 15, 2005 and June 15, 2006. For a late renewal, the continuing education courses must have been completed within the one year period immediately prior to the date of renewal. Licensees may not receive continuing education credit for attending the same course more than once for one renewal period. Further, licensees must retain a copy of the certificate of completion for a course for one year after the date of completion. In conducting any inspection or investigation of the licensee, the department may examine the licensee’s records to determine compliance. TAA logo available for member use only.